Booking a safari is a nightmare. No solid resources available except your friends that have been. Some people love one camp while others say they had to sleep on mats and paid over $400/night. I emailed multiple tour operators I found on forums and other websites and eventually came to the decision to book with Swala Safaris. Rose from Swala, who helped manage our booking, was direct, but never overly helpful. 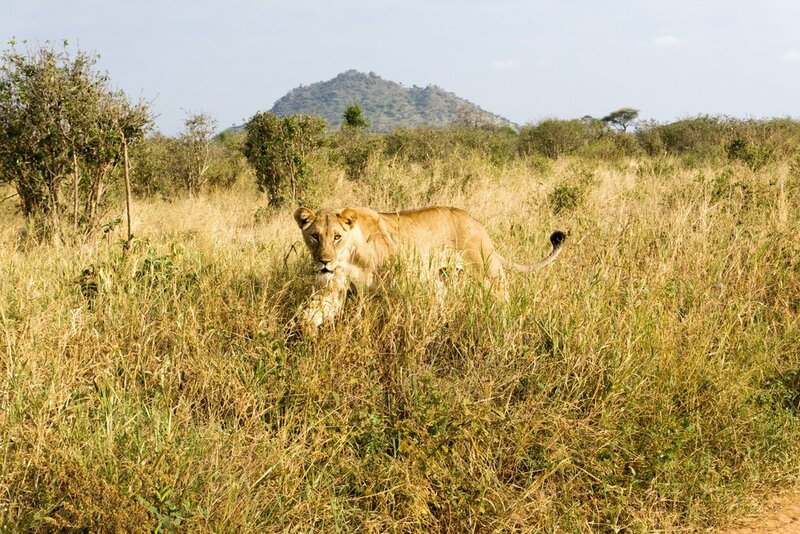 She provided an initial estimate based on our requirements (5 nights, Serengeti, mid-range, etc.) and refined based on the feedback I gave her. I literally used Tripadvisor and other resources to understand the property she was suggesting, and if I didn't like it, I had to research my own alternatives. She would then respond with a price range for those specific camps. 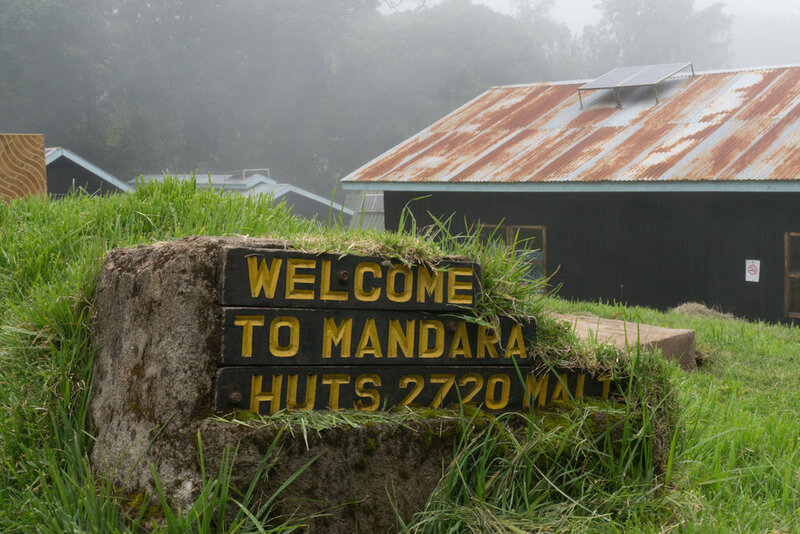 Very few camps accept direct bookings, and only work with tour operators. When a deposit was due, I read my credit card over the phone to a echoey African phone number and a picture of a hand written receipt was emailed back to me. The rest of the money was due in cash, it wasn't like booking a tour on Viator. Safe to say booking this safari was like pulling teeth, but I'm really happy I did my research because it made for a perfect experience that went off without any hitches. 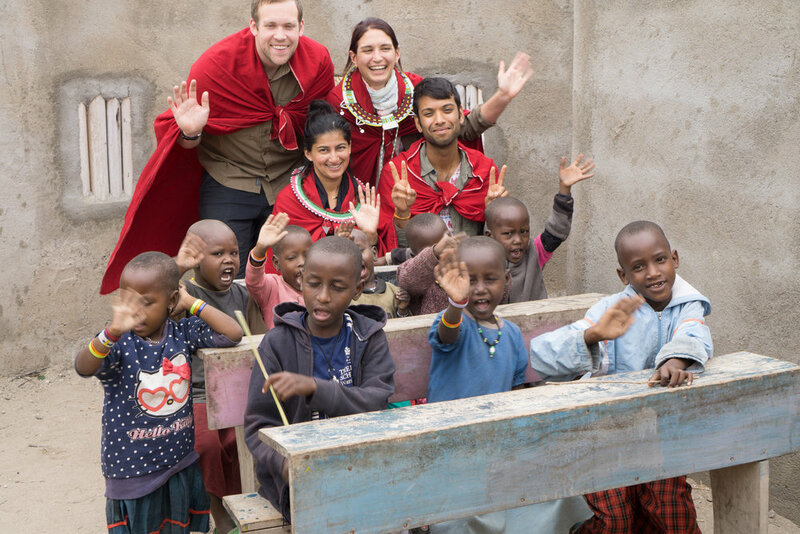 We had spent a few days in Arusha before our safari to climb a part of Kiliminjaro and checkout our first true "African" town. Rose and Zaf picked us up directly from our Airbnb which was really convenient. Zaf was better than the best safari guide you could imagine. He has his own agricultural startup, he knows every intricate detail of the environment, and best of all doesn't use the radio that most other tour guides use to find animals. He is very well travelled and has taken multiple international dignitaries on Safari. At one point, our rear axels lost power and even with massive elevation changes ahead of us, we made it through. After our safari, I felt like I made a best friend (and an idol). - to a watching a pride of Lions devouring their prey for breakfast. Elephant and his little guy. 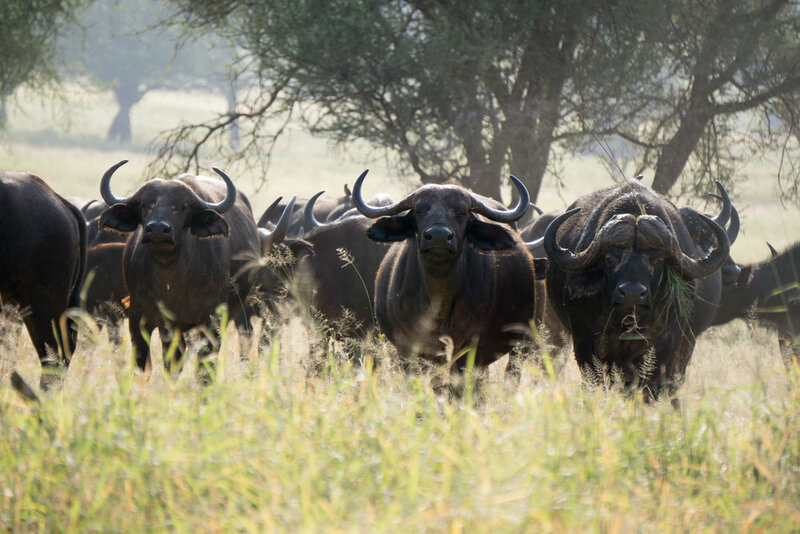 Water buffaloes giving us the stare down. First, and only Leopard sighting. Rain and sun rays across the savannah. 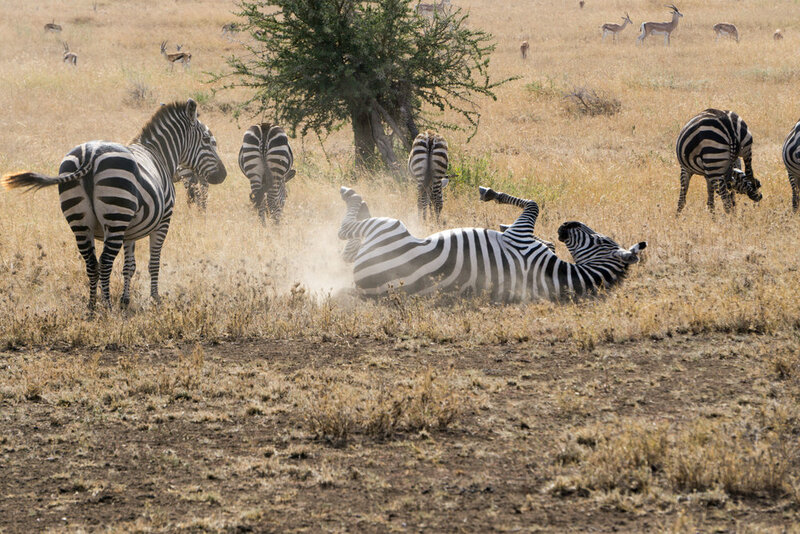 When a zebra has an itch - they scratch it. Our first lion sighting - she was majestic. Leopard ready to pounce in the bush. Pride keeping their eye on a hot air balloon. The majority of people we met on Safari were incredible, though there were the odd few that threw their water bottle out of the window or that got so close to the animals to the point where they became uncomfortable and ran away. The best way to manage this behavior is to speak out and tell your guide that you don't enjoy that kind of thing. After all, they are agents of the you. 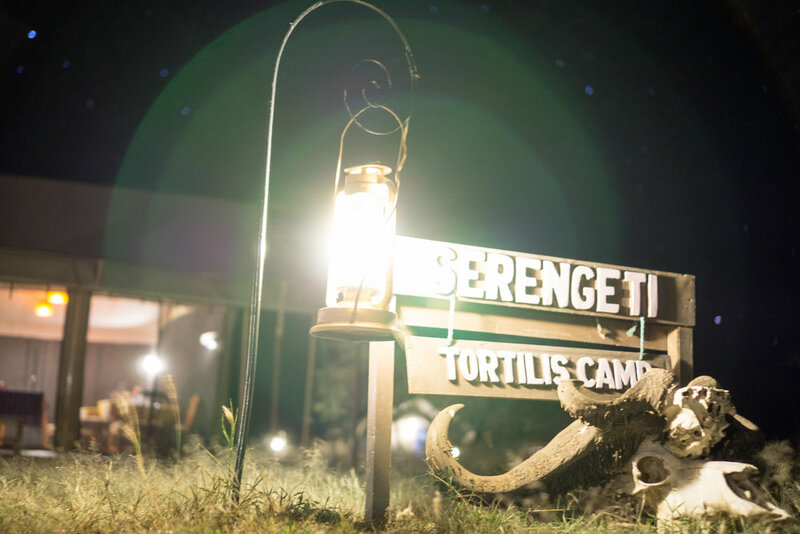 Our favorite camp was the Serengeti Tortillis Camp. While less intimate than some of the other camps we stayed in, it had palatial tents, consistent warm water, decent food and has great location. We heard lions directly outside our tent two of the nights we were there. Overall our safari was one of the most enlightening experiences of our lives. 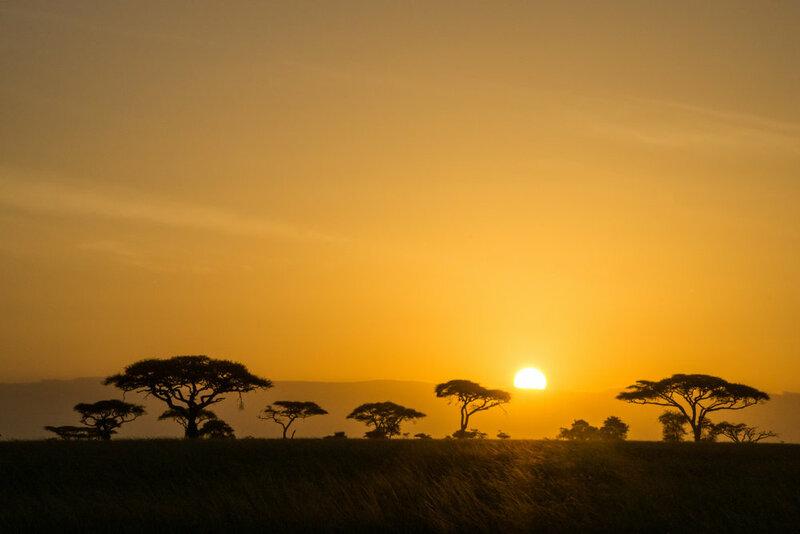 The moment when you are sipping a Kiliminjaro lager and watching the sun set over the Serengeti is one that made me feel so far away from home, yet connected to the earth more than ever. It's something I hope everyone gets to experience at some point in their life.